In alignment with our sermon series on Habits of Grace, we will have Citylife’s first Mercy Week, a week to highlight the habits of mercy and service. 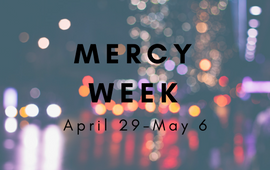 During the week of April 29th through May 6th, there will be a mercy opportunity each day. Our hope is that this will be a chance for our church family to get more acquainted with our partnerships with the James W. Hennigan School and Starlight Ministries. Our prayer is that everyone at Citylife will find a way to engage with mercy ministry during this week through at least one of the events. Below is a complete schedule for Mercy Week. We invite you to prayerfully consider how you can give, serve, and explore our partnerships alongside others from Citylife. We look forward to ministering with you and inviting you into what God is doing in our midst! Launching of Mercy Week with the first of two sermons on the habits of mercy and service. The library is in great need! It is understaffed with its shelves and books in disarray. Help us redeem this library to functioning order so the students of Hennigan can better enjoy its gifts! We will take volunteers through a brief orientation and get to work on infusing life into this library again through shelving, sorting, cataloging, book repairs, and more. Sign up here for one or both days (see May 2). More details to follow! 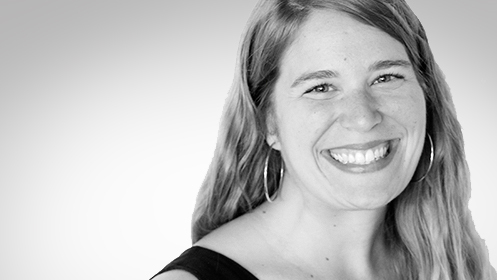 Woods Mullen is a women’s shelter in the South End that serves 200 women a day. Starlight Ministries works with many women who seek shelter at Woods Mullen. Gather a group to help serve a meal alongside two Woods Mullen staff and engage firsthand with those Starlight seeks to honor and love. Sign up here for one or both days (see April 30). More details to follow! Starlight Ministries, which operates out of the Emmanuel Gospel Center (EGC), is a ministry that seeks to minister to the homeless community through ongoing, relation connection and friendship. One of the ways they do this is through their weekly Opportunity Resource Center, a drop-in where men and women are able to come and get basic clothing items, toiletries, and haircuts. They are also able to connect with a staff member or volunteer and receive prayer. Join us this Thursday (or any Thursday!) to see how the ORC works and make some new friends. Come join us for an evening of fostering awareness about the struggles of those in the homeless community and discussion and prayer around these topics. A wonderful opportunity for those who want to be challenged in their understanding of the homeless community. Starlight Ministries works closely with Pine Street Inn to help resource and care for the city’s homeless community. Gather a group to prepare and share a meal with a Pine Street Inn community to engage firsthand with those Starlight seeks to honor and love. The responsibility includes choosing what to prepare, buying ingredients, preparing the meal at someone’s home or at the transitional house, and serving the meal. Through the Love Your Block program sponsored by the City of Boston, please consider participating in the revitalization of Hennigan School’s local neighborhood. We will clean up Mozart Park and the surrounding area as a team. Light breakfast will be provided. Those interested in volunteering with Citylife, please sign up here! We will follow up with further information. Celebrating what God has done through Mercy Week and the second sermon on the habits of mercy and service. Backpack Drive for Starlight Ministries! For those who live on the streets or spend a lot of time outside, a backpack carries all the life essentials. A lot of wear and tear means that the average homeless person goes through a backpack every 90 days. Consider donating a new or gently used backpack for Starlight’s Opportunity Resource Center! (see May 3rd for details on the ORC) We will collect items at church before or after the service.